When an on-the-job incident sends her home to her family's Hill Country ranch, Detective Aubrey Cavanaugh wants to hide away with a good bottle of vodka to ease her mind and her guilt. She doesn't want to deal with family, friends, and least of all her former lover, Erich Harlan, who is now the ranch foreman. Erich Harlan has his hands full with overseeing the ranch while Aubrey's parents are away. But he can see she is hurting. He might be the last person she'd turn to, but he won't give up until he knows what's causing her pain and how to make it go away. 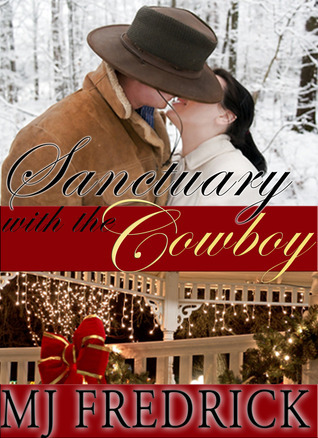 After a dozen years apart, will she be willing to find Sanctuary with the Cowboy? Aubrey came home with pain, fear, hopelessness, and guilt. Erich saw her coming home two weeks early with happiness, fond memories, and worry that something was wrong. His worry was warranted since she was late getting out to the truck when he was waiting to pick her up at the airport. You see she was drunk which she was so totally unlike her. She was normally drunk on other things mainly him back in the day almost 12 years ago now. Then she was feisty, now she looked tore up. After a few days she finally reveals the events on the job as a cop that brought her that unhappiness and sent her straight home. There’s more to the reason she came home but it’s on a need to know basis at least in her mind. Erich takes her to meet with one of his friends back from Afghanistan, so she can talk openly. She does and her spirit seems a little lighter. Things aren’t great but better. Aubrey is making an effort to fit in with her family and now Erich. She helps her mom with one of the Christmas events and she is struck with how she is all alone. No home, no family, and no man, well she would like to hope that Erich would be there if she were to change things but she just cannot think that way. She really needs and wants more from Erich, like high school 12 years ago. Erich’s shy about it he has a lot to lose now with working for her father, his heart for good since she walked away from him last time without a backwards glance and he wants a relationship not a romp in the hay. 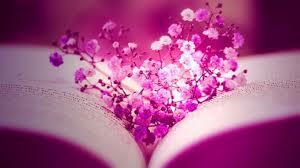 Find out what Aubrey’s secret is and if it can harm those around her. See if her and Erich have a future the way he hopes for. Find out if Aubrey is still excited on her job at HPD or if she wants more and if Erich is included. This was much bigger short then you would think in this what 35 pages. There were some really funny spots where you found yourself smiling big, sadness for her PTSD, fear at the major twist in the story and then love a relationship of something never lost. Free off of Amazon.